adidas Originals has a few releases of the Pro Model under it’s belt for August, the most recent is known as ‘Baby Blue’. 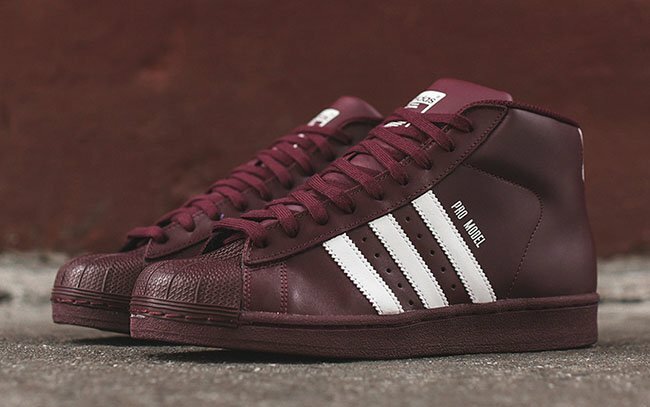 A second colorway is now showing up, the adidas Pro Model ‘Burgundy’. 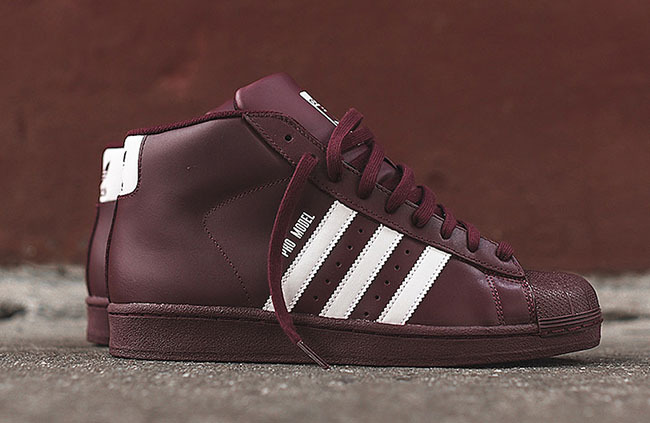 The brand has Fall in mind with this adidas Pro Model release while dressing them up in Burgundy and White. 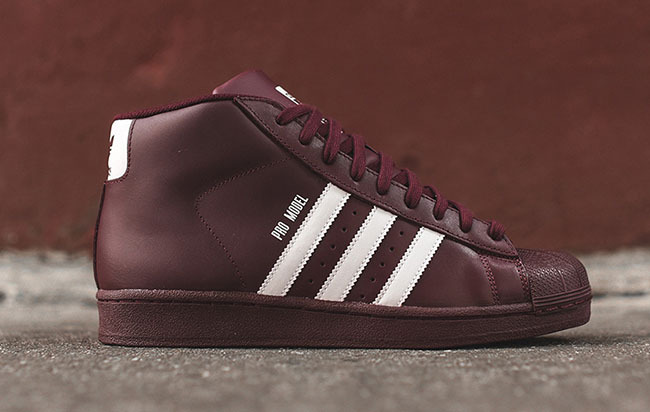 As you can see, Burgundy takes over the shoes which lands across the leather base, rubber midsole, shell toe, tongue and laces. 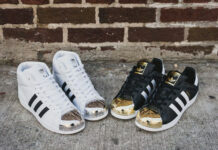 Adding contrast is White that covers the Three Stripes logo, Pro Model on the side, top of the heel and tongue branding. 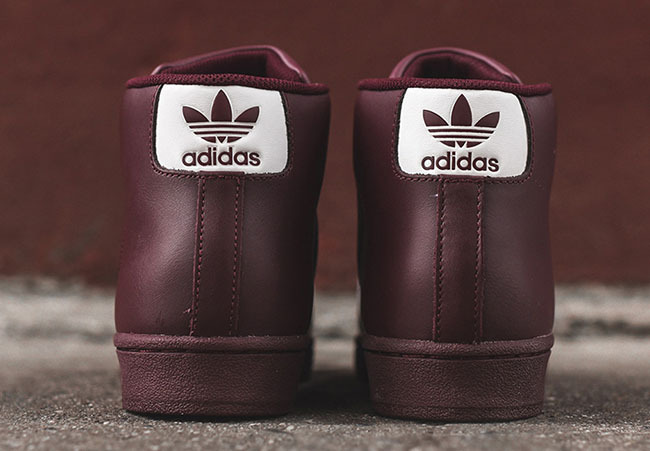 Keep scrolling to check out more photos of the adidas Pro Model Burgundy which will give you a detailed look. For those interested in purchasing, they are now landing at select adidas Originals retailers. They were recently released at KITH, however soon after, sold-out. Additional locations should have them shortly and expect to pay a retail price of $90.